Founded in 1952 by Sidney Thomas Ross, Ross-Simons opened its first retail store in Providence, Rhode Island. As jewelers, we set out to provide exceptional, high-quality jewelry products and luxury items at the most affordable prices possible. And if you’re looking to sell jewelry, we provide pioneering cash for gold services to gold sellers across the country. Over these last six decades, we’ve become a thriving multi-channel retailer, with a well-respected and established brand; we’ve enjoyed notable success due to our commitment to providing our customers with the best service. So, when we heard our customers asking us: “Where is the best place to sell jewelry or other gold items?” we listened. The Ross-Simons Gold Exchange is our answer and it represents a new vision for our storied jewelry brand. Our customers look for a secure and easy way to sell jewelry online and this is it. We pay gold sellers the most competitive prices, regardless of how much or how little you send to us. We pay promptly and there’s no waiting around. You’ll receive payment within 24 hours, at our guaranteed highest rates. In short, if you want to sell jewelry or other precious metal items, talk to Ross-Simons. For us, it’s important for our customer satisfaction to exceed expectations and for our service to be trusted and valued by our users. After all, your happiness is our best form of advertising. For your peace of mind, we provide an online video of us unpacking and weighing your gold and jewelry. If, for any reason, you’re unhappy with our service, simply return your check to us, and we’ll promptly return your items at our expense. Ross-Simons is committed to providing exceptional prices for your unwanted gold and jewelry. 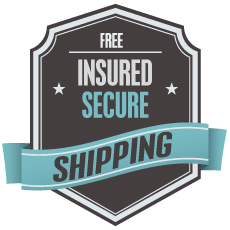 Simply fill out the form to get your free shipping kit by mail, or print a free shipping label to send in your items today. Ross Simons will never spam you nor share your information, but we will keep you updated on the status of your transaction, from start to finish. Dedicated to the pursuit of happy gold sellers. I love the way your company assays gold. I’m just so pleased with your communications throughout the process, and the video — WOW, fabulous touch! Gold prices very fair and I’ve told everyone about your services. I have received everything and am extremely pleased with your service. I have also recommended your service to all my email buddies and friends.